There are possibly numerous reasons why people seek tattoo removal. But the good thing is that once the tattoo is taken off, you will no longer face the burden of bearing something that you regret on your skin. 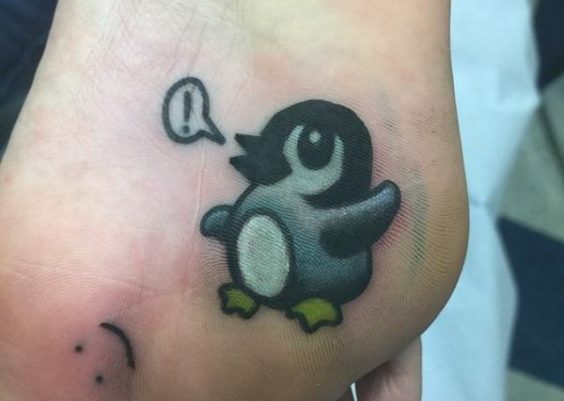 Some people have lost their dream jobs all because of a tattoo discovered on their body. Most employers react negatively to it. However, if having a tattoo prevents you from attaining greater heights in life, then the tattoo removal pain is worth having. You need to get it off your skin no matter the cost. Most people that have gang-related tattoos often seek removal when they no longer want to be associated with the gang in question. No matter your reasons for wanting to get it off your skin, here are tips and everything you need to know about the various tattoo removal methods. When you are going to have your body tattooed, the feeling is always great. But as time progresses, you may start regretting your decision to have one. There are many reasons people seek tattoo removal after spending money and time to get one. And the good thing about the process is a bit less painful and affordable than it was in the past. Here are things that will make you locate people who remove tattoos to get rid of your tattoos. The area you get your tattoo matters. If it is visible even when you wear an outfit, then others might have a different interpretation when they see it. Tattoos can look great on you. But many employers do not like hiring employees that wear one on their body. So, having it can affect your career negatively. You might not be able to wear whatever you like or landing your dream job might become more challenging. The negative impact has forced many to seek removal of their tattoos because being able to pay those bills is better than having a tattoo that will not put food on your table. All families are not the same. Some might not even respond when they see a tattoo on their loved one. But if yours reacts negatively and keeps pressuring you, it is best to have that black tattoo removal once and for all if that would make your family members happy. In fact, some families believe that a tattoo on a person means that person is a hooligan or belongs to a gang. And the worst is when the tattoo on the body of the individual looks scary. Whether you are a man or woman in a serious relationship, you need to create an excellent first impression, especially when visiting your future in-laws for the first time. A lot of things would be considered before most families can confidently hand their daughter to a man. Most families also thoroughly scrutinize their future daughters-in-law before giving the go-ahead to get married to their son. Their response might not be great when they see a tattoo is on the body of the woman. These are some of the reasons men and ladies ready to tie the knot seek tattoo removal. People change their choices in life as they grow older, and what appeared exciting to you as a teenager might not when you become an adult. A couple of advice or trying to move away from the life you once lived can force people to seek removal of their tattoos. You may have become more mature and do not want something that will take your mind back to past events you regret getting involved when you were younger. One other factor that contributes to the tattoo removal statistics which force people to remove their tattoos is when the body modification no longer looks attractive. Have in mind that even though you get high-quality tattoos or let a professional handle the process, it will eventually fade after some time. 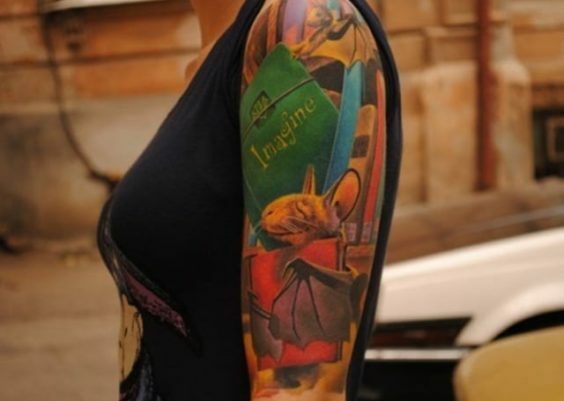 And if the image has lost its vibrancy, then the time is ripe to get rid of that tattoo entirely. Having a dull tattoo will make that spot to look unsightly as time progresses. So, the right time to get rid of it is now. Most people will do anything for love. They do not mind having the face of their girlfriend, boyfriend or someone they love on their body in the form of tattoos. They have the feeling they will be with their significant other when love blinds both, but things might not go as planned. When you break up with someone, having something that reminds you of the feeling you once had for that person does hurt sometimes. So, removing that tattoo you had that reminds you of your ex is a great step people take to forget about the past and move ahead. Apart from relationship issues, renouncing your relationship with a notorious gang could also force you to remove tattoos that link you with them. Some people got tattoos when they got drunk. They happened to be where free tattoos were available at the time they were not in their right frame of mind. It can happen to anyone when you get drunk. Being drunk can force people to exhibit traits they ordinarily would not display publicly. So, if alcohol consumption forced you to get a tattoo, then getting it off your body will help you get over that mistake you regret. Good parents set good examples for their children. And parents also have to be careful about things they do or have on their bodies because children tend to pick up traits from their parents so quickly. If it would be best to get that ugly tattoo off to set good examples for your kids, then get it done. A time will come when you would need to discourage your kid from getting one, and you do not want them to accuse you of not practicing what you preach. If you have been getting those weird looks in the locker room or elsewhere, then it is time to say goodbyes to your tattoos. You may have noticed how more conscious you have become since you modified your body with a tattoo. People may decide to turn attention to you when they feel there is something wrong with your tattoo. Whatever your reason is, removing your tattoo because it is making your life miserable could be the best option. There are tattoos that the army might not accept. So to increase your chances of being allowed to enter what you have always been dreaming about, you need to get that tattoo of your body once and for all. You can find out more about tattoos that are mostly rejected by the military and the ones they accept to be on a safe side. Whatever your reasons for getting that tattoo off your body might be, choosing the right method is a step you should not neglect. Different processes of removing tattoos exist. And technological advancement has made tattoo removal at home even possible. So if you are thinking of starting the removal process but contemplating on the suitable method to adopt, check out these tips and details about the various tattoo elimination methods. Laser tattoo removal is one of the most popular methods people use to get rid of their tattoos. This method involves using highly concentrated light to target the ink on the skin. The pulses of the light will help to break the tattoo ink on the skin into tiny fragments, which your immune system clears off over time. But you cannot get the ink off with a single treatment. The more the treatment you have, the higher your chances of getting rid of the ink. The only issue with having more laser treatment is the damage it can cause to the skin. There is also a chance that you might experience some form of scabs and blisters that might cause scars that may last for a long time. 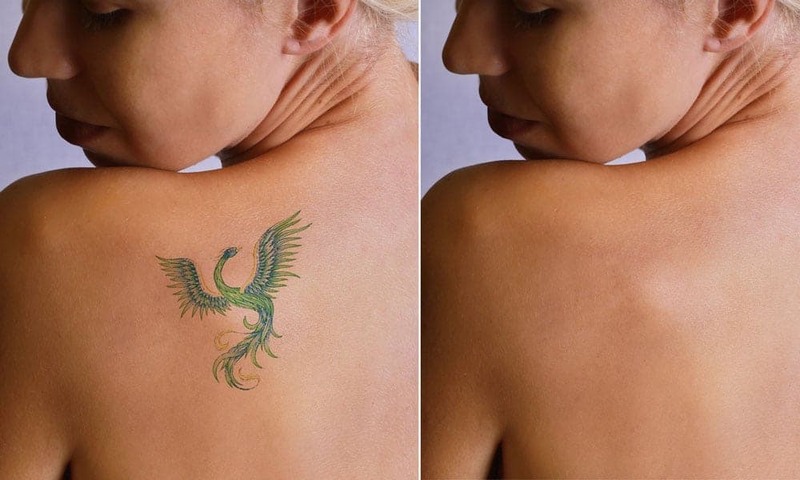 Some experts use modern laser tattoo cleaning process that is so advanced. These methods reduce scarring to a minimal level, and you may not even notice it in most cases. Many people use this tattoo removal method more because it helps to get rid of the ink as if nothing was there before. But on top of that, it is considered to be physically painful. It is just like sprinkling hot grease on your skin. The feeling is almost the same thing. The technique is also a little bit expensive. And depending on the tattoo you have, you may go for 1 to 10 sessions to get it off your skin thoroughly. The challenge is that each of these sessions would cost between the range of $250 to $850 or even more for large, colored professional tattoos. The IPL or Intense Pulsed Light tattoo treatment is what most spas are currently using. It is a dermal enhancer that uses high-intensity light instead of the regular laser light. But the manners in which both methods operate are the same. It is also said to be useful when done right. Before the procedure starts, put a gel on the tattooed spot. Then the next is to use a wand (a tool that emits pulses of light) on the area of the skin that needs the treatment. The Intense Pulsed Light treatment is a less painful when compared to the regular laser therapy. But there are challenges with using this procedure. The first challenge is that many experts who remove tattoos do not usually recommend this process for one reason or the other. The price tag is also something of great concern. Most of the clinics request a fee of $10 for each pulse session which definitely would add up by the time you had gone through more sessions. Many people would like to get rid of their tattoos themselves at home. But the tattoo removal laser machine costs a fortune. On the other hand, it is not something you would need on a regular basis. And even after getting rid of your tattoo, you may never want to have it on your skin anymore. That said there are many creams for removing tattoos with ease containing ingredients that claim to work for this process. But it is advisable to check the content of any product properly before deciding to use them. Tons of tattoo removal cream types are available as we earlier stated. But some of them are said to work more effectively than the other. 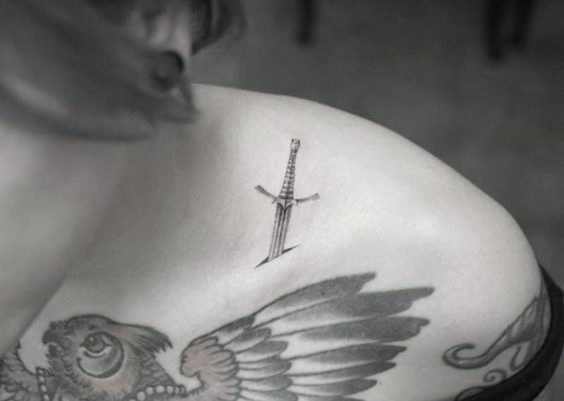 For instance, the Tattoo-OFF and TatBGone are two products most users claim works effectively for lashing out tattoos. According to claims, these products help to fade the tattoos on the skin without causing any form of damage or pain. The one thing you must have when if you are going to get anything out of this technique is patience. You have to exercise patience because it might take several months for you to get the result you seek. On the other hand, two months supply of the cream, Tattoo-OFF cost $116.95. It might be inexpensive to some individuals, though not everyone will be comfortable with spending such amount of money. Laser and IPL are not the only treatments tattoo removal experts use to remove ink from the skin. Dermabrasion is also one of them. But the introduction of laser treatment made many expect to relegate dermabrasion technique to the bottom. It is one painful technique that most people find very uncomfortable. Again, this technique is not that effective as the laser or IPL removal processes. The expert sands away the skin’s top layer using abrasive friction that is no doubt very painful. Many tattoo artists know how to fade tattoos with saline solution. They usually tattoo this solution into the point the old ink is residing. However, this technique is said to be useful when dealing with tattoos that have stayed long on the skin. But it is not reliable for removing tattoos in general. In most cases, tattoo artists use this method to fade worn tattoos so they can mount a new one in the same spot. The first challenge is that this method is not very active. But on the bright side, it does not cause harm to the skin. The technique is also not something every tattoo artists knows. It makes it difficult to find an artist to help with this technique. Before you begin the laser treatment, the medical professional in charge has to determine the type of laser that will be suitable and the number of operations you require which will depend on factors like the size, age, and depth of the pigment on your skin. And before your physician can prepare a treatment plan for you, the physician will have to test the laser on your skin to watch how your skin is going to react. The standard treatment last for just a few minutes, though tattoo size, age, and depth have an immense role to play. 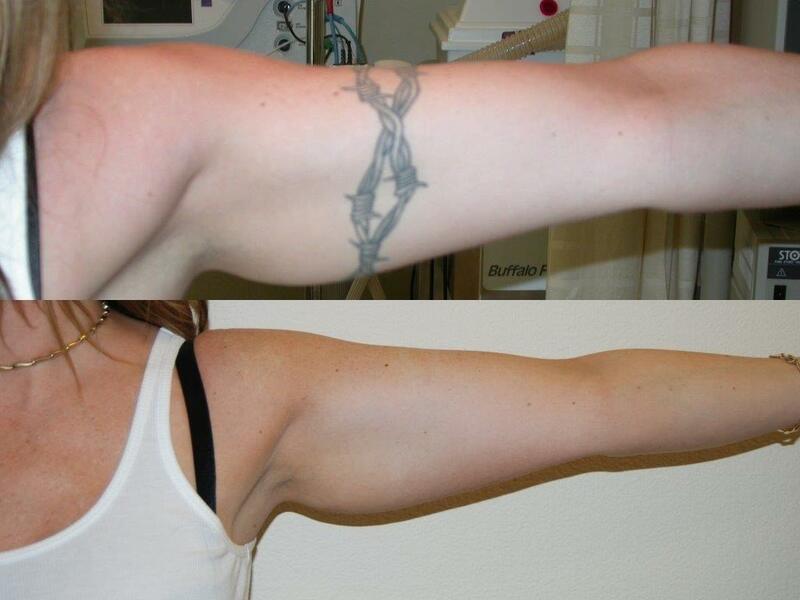 Typically, the laser treatment explodes the tattoo pigments which create a kind of superficial skin wound in the area. It is possible for anyone undergoing this treatment to experience some form of redness, bleeding, swelling and even blistering for some hours or days after the procedure. After that, you will find the treatment peeling or flaking. But you must carry out the proper care of your skin after undergoing this treatment. Here what you must do after having the laser treatment to remove your tattoo. The first 24 hours after having the laser treatment is crucial. That is why you must apply a cold compress to help reduce the inflammation or discomfort that may likely occur. Avoid physical activities and hot shower during this time. You should never use makeup for 48 hours after undergoing your laser removal session. In fact, do not use medication or cream on the treated spot for this period. Apply ointment such as Neosporin, on the treated spot for three days. Ensure you also change the dressing on a daily basis. For the next 1-2 weeks, you need to limit exposure to the sun. Pool water, hot tubs or salt water is not also ideal for you. Avoid them until the treated spot has fully healed. You might delay the laser tattoo removal healing process if you do not take proper care of your skin after the treatment. Pin Up Girl Tattoo Designs: Best 75 Ideas That will Rock Your World!